Connect with our audience of creative industry professionals, design savvy public audiences, and students (particularly those in the creative industries). For questions on any of the partnering opportunities below, please contact Erike De Veyra at erike@philadelphiacfa.org. Join us and 100+ other design organizations in hosting an event during our 10-day festival. Let us be your megaphone and bring the public to your space. Pair your creativity, your brilliance, your stories with our marketing muscle and wide-reaching connections to make your event a success. With several levels of partnership to choose from, you decide what kind of promotion is right for your event. Learn more about hosting an event, open house, or design display. 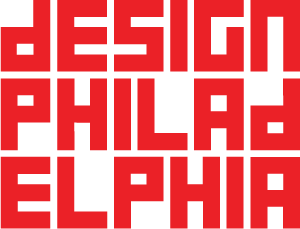 Sponsoring the DesignPhiladelphia Kickoff Party or individual programs is an excellent opportunity to gain brand exposure and recognition within Philadelphia’s design world. Join the community of contributors who have supported DesignPhiladelphia in the past and connect with thousands of people here in Philadelphia. Advertising on the DesignPhiladelphia website or in the DesignPhiladelphia CONTEXT magazine issue shows you value the design/maker community here in Philadelphia while putting your brand in front of thousands of design industry professionals daily. Learn more about advertising opportunities. We need your help to make the festival a success! DesignPhiladelphia volunteers help distribute marketing materials, get the word out about the festival using social media, support event hosts during the festival, and collect demographic information from participants during the festival. Stay tuned for the volunteer sign-up link coming soon!